Gadsden Flag Don’t Tread On Me Mug | BUDK.com - Knives & Swords At The Lowest Prices! Get a mug that lets people know what you think and you won’t have to say it to them! 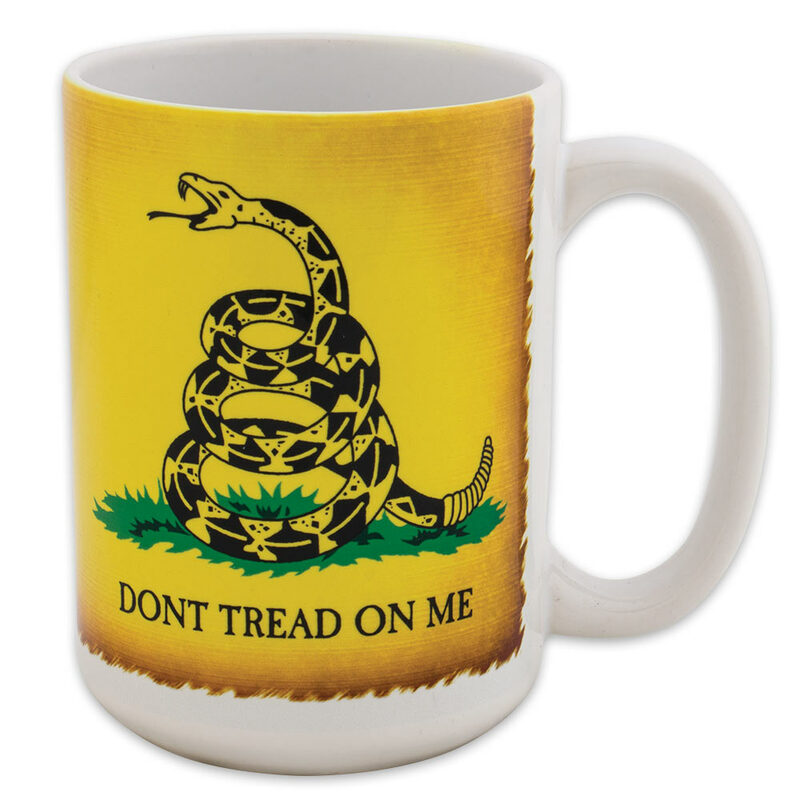 There will be no doubt in their minds when you are holding this 15 oz mug with the historic American flag showing a coiled snake ready to strike on a yellow field that bears the words "Don't Tread On Me". Designed by American general Christopher Gadsden, the Gadsden Flag was used by the Continental Marines as an early motto flag. This mug is durable, dishwasher and microwave safe.